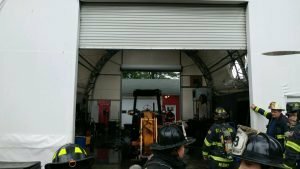 Stepney Fire, along with units from Monroe and Stevenson, responded to a call at 189 Monroe Turnpike for a reported structure fire. 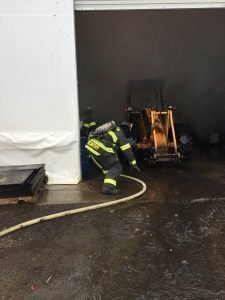 Upon arrival it was determined that the blaze was on a front-end loader on fire in a hoop style garage. 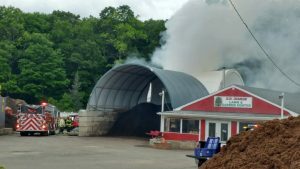 The Case commercial style front- end loader was destroyed in the fire, as well as the hoop garage covering which had a hole burned through the roof. 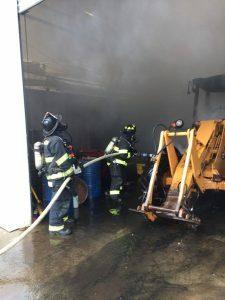 In addition to the three fire companies from Monroe, mutual aid was received from Long Hill Fire in Trumbull. About two dozen firefighters from Stepney, Monroe and Stevenson extinguished the fire in about fifteen minutes. 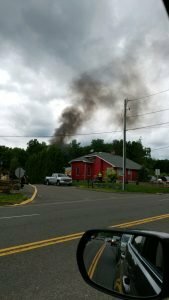 According to Fire Marshal William B. Davin, the damage was estimated to be around $100,000.